As discussed in my previous post titled “Finding English-Speaking Doctors, Dentists and Opticians”, one of the most daunting things about living abroad is finding help for medical problems. Now here’s a rather good idea – “Notfallqr” which in English means “Emergency qr”. NotfallQR is a scheme where certain key details about yourself such as identity, emergency contact details, blood type, medical conditions, vehicle type and the like are stored in a central database. You are provided with key rings and car window stickers containing QR codes (basically square bar codes) and these codes are your unique identifier. In the event of an emergency, the crews attending the scene can scan the QR codes to access your stored data. This means they can quickly and easily identify you, contact your next of kin, find out about any medical conditions you have and even (from the type of vehicle you drive) decide how to get your out of your car if you become trapped. The service currently costs just €14.95 for a lifetime of cover, although I got mine free some time ago from the Sanicare online pharmacy as they were running a promotion. Further details are available here or you ask at your nearest pharmacy. Does anybody know any good surveyors, specialists or builders capable of properly assessing damp problems and proposing remedies? I am not looking for the usual cowboy gangs (who are sadly in the majority) who stick a two pronged resistance meter in the wall and declare the whole universe is suffering from rising damp, I am looking more for someone who understands older buildings and how they “breathe”, the use of traditional breathable materials such as lime plaster and can give proper guidance rather than promote methods which just hide the problems and ultimately make matters worse. 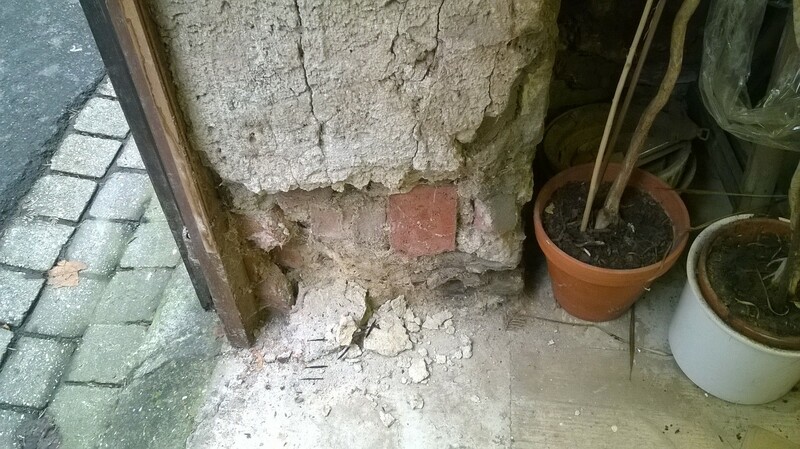 From my limited knowledge, I know that most damp problems are not generally caused by ‘rising damp’ as is usually considered to be the culprit. Instead, they are very often caused by surprisingly simple things, invariably by the previous use of modern materials for repairs and renovations which actually trap moisture. This trapped moisture often goes unnoticed until and only manifests itself when the real damage is done. Old houses generally relied on being able to ‘breath’ to keep damp out, but over the years the trend has been to seal places to keep the precious heat in or to make them easier to maintain, although this is often to the detriment of the building. I would really appreciate any feedback or experiences both good and bad from others who have had damp problems to contend with, and as usual I have included a contact form below and I promise not publish anything told to me without express permission.